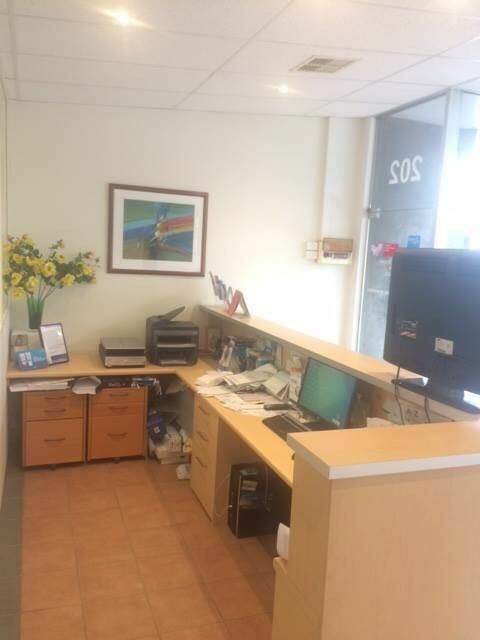 Mark contacted us over the phone to discuss the move of his small to medium sized office in Burwood and moving to Oakleigh South. After discussing the move with Mark we were confident in sending our 6T truck which is great for a small to medium sized office or a 2 bedroom home. Mark advised us that they did have a few larger items including a Large commercial printer and that the items would also need to be carried up one flight of stairs which does add to the level of care and work required for such an item. 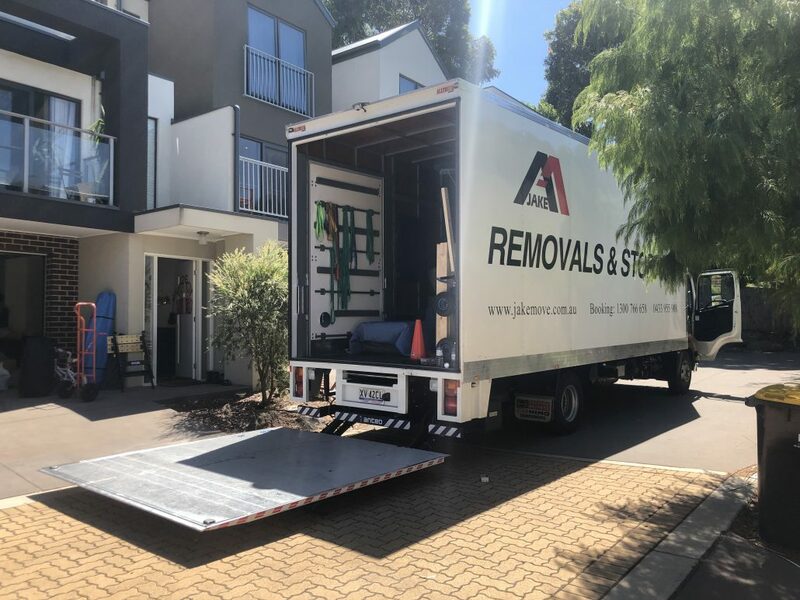 Our team office movers Melbourne chosen for this task were Eric and Jack, two great movers who enjoy working in the moving industry and love doing a great job for all our customers. They are very friendly, hardworking and efficient. All items were carefully handled and wrapped accordingly with the thick furniture blankets and plastic wrap. 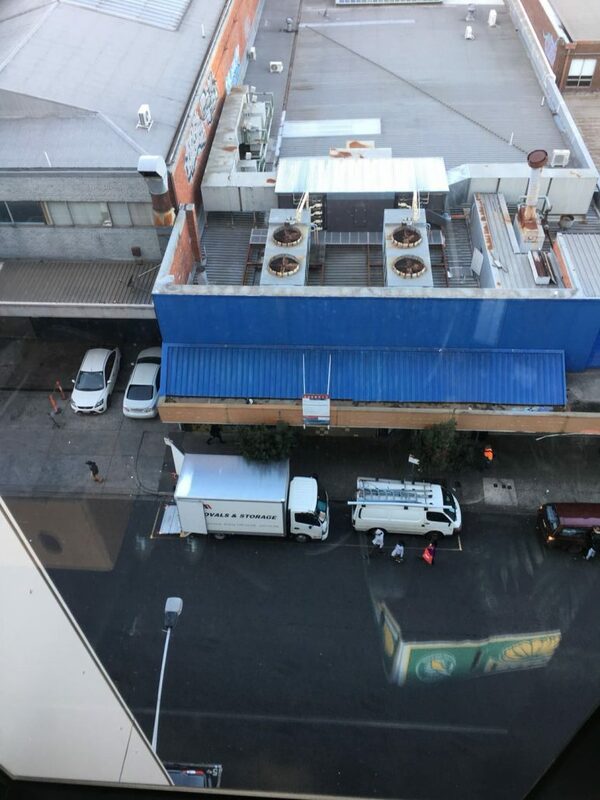 They made great use of the trolleys, dolleys and the hydraulic lift for the larger items to ensure no damage occurred. 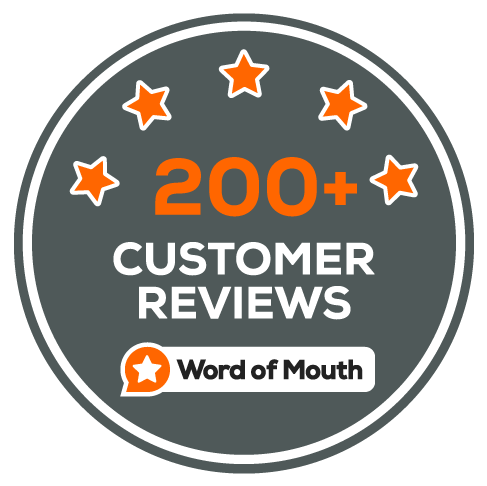 Mark was very happy with the moving done and would not hesitate to recommend our services to anyone seeking Office Movers Melbourne. This move started out with a quote request coming through via email from Julie through our instant quote service. After contacting Julie over the phone to get a detailed description of the move, we were very confident to use our second largest truck the 8 Tonne with hydraulic lift and she was requiring the move of a medium sized office that included a very large photo copier and also an outdoor concrete top table. The two workers selected for this move were Luke and Kevin, a great team, very strong with amazing synergy and years of experience working in the furniture removal industry and who love giving great customer service. They then move everything into the truck with great expertise and making the most of the moving equipment provided whether it be trolleys, ramps or dolleys and also making great use out of the fantastic hydraulic lift to get the best possible results for those very heavy items. Julie described the guys as being fantastic! and both gentlemen that did and amazing job. 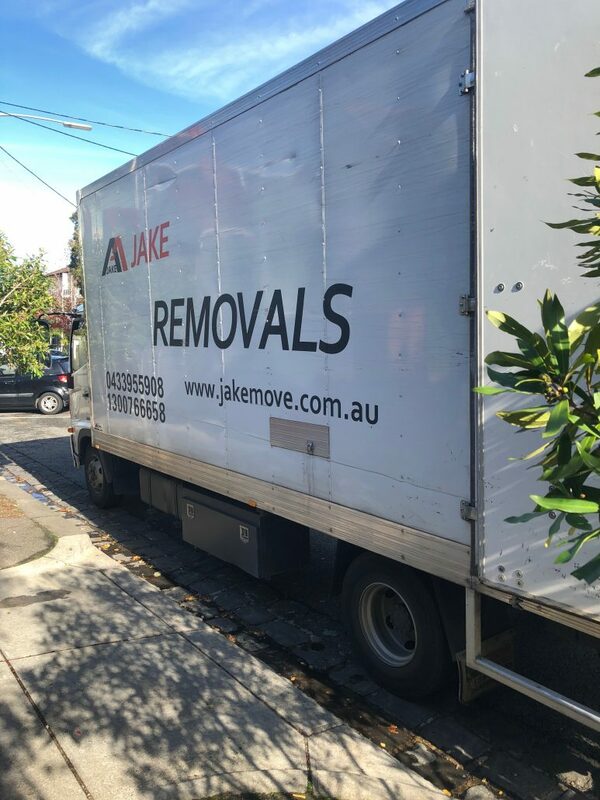 She was “very, very, very happy” and based on their performance will definitely use our services again and is more than happy to recommend Jake Removals to anyone Office Movers Melbourne and gave a great 5/5 Star review. 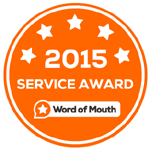 Today we are sharing Ebony’s moving experience of Jake Furniture Removals Melbourne Job. 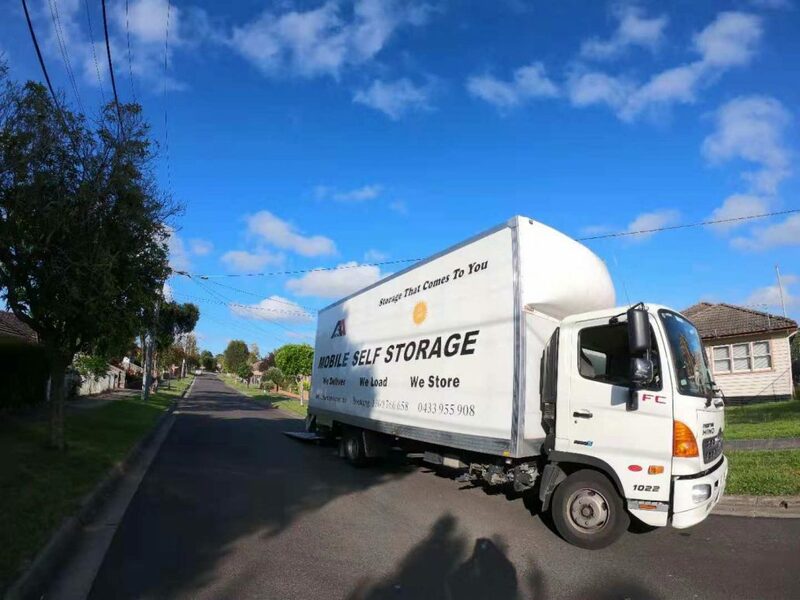 It was a 4 bedroom home moving from Cranbourne to Langwarrin on June 2018. This move started out with a quote request coming through via Jake Removals Melbourne website from Ebony. After contacting Ebony over the phone to get a detailed description of the move, we were very confident to use our largest truck the 10 Tonne with hydraulic lift which we use for our larger moves of 4 bedrooms or more. 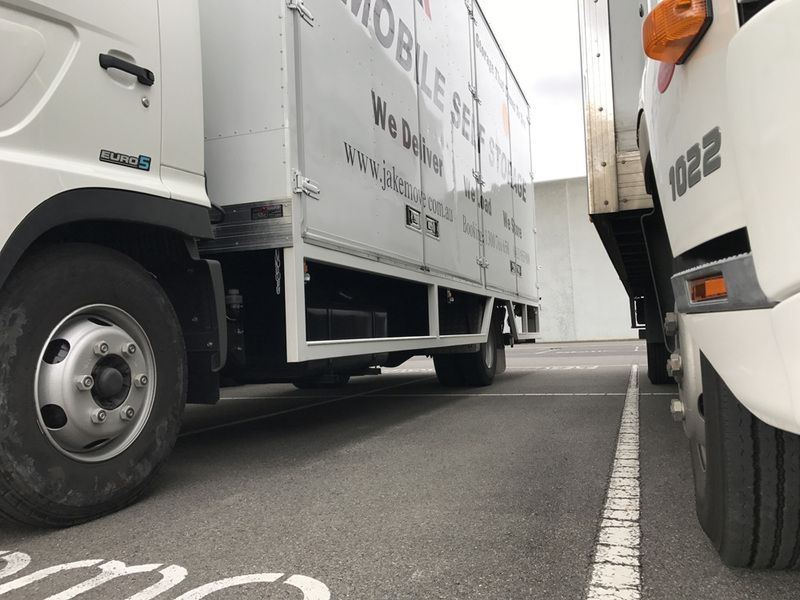 The two workers selected for this move were Robert and Jay, a great team with amazing synergy and years of experience working in the furniture removals Melbourne industry. Ebony described the guys as being very efficient, professional. Because she loved that herself and her family did not have to do any moving for the entire experience leaving it in the very capable hands of Robert and Jay. Ebony was very happy with the whole experience of moving to a new home with minimal fuss. Therefore she is more than happy to recommend our services to anyone who needs removals Melbourne. Learn more about our special offers of Jake Furniture Removals Melbourne. Jake Removalists Melbourne is fully insured. Find out more removals and storage insurance information. Call us today on 1300 766 658 or do a quote online. Last November, Robert enlisted Jake Move to help with their office and warehouse relocation. He had a large office and warehouse located in Thomastown and required our office movers Thomastown services to relocate to the new warehouse in which conveniently was also located in Thomastown! We offered him 3 men and a 10t truck for 2 full working days to finish his office relocation. First our guys dismantled all of the L-shaped office desks and carefully packed them into the moving van. They also helped Robert pack most of his computer, desktops and other miscellaneous documents into boxes before placing it into the truck as well. As it was a large office and warehouse space, Robert had accumulated a lot of items and furniture that had to be moved to the new location. Luckily for him, our men are trained professionals and have years of experience in the removal service industry. We assured him that all of his items would be handled with the utmost care and precision. Upon arrival at the new warehouse, our guys helped him with assembling all of the furniture and desks back to the way it was originally. Most of the office furniture needed to be moved upstairs and the only way up in the new office was a narrow staircase with a sharp turn. However this was not the first time our guys were required to move large and heavy furniture up narrow staircases. With steady hands, our men carefully edged their way upstairs and managed to move the necessary furniture without any harm or damage. Robert was very pleased with our office movers Thomastown services and said that our men were very careful and efficient in handling the furniture. After the job was finished, he said that he will definitely use our services again if he ever needed to relocate or move again. 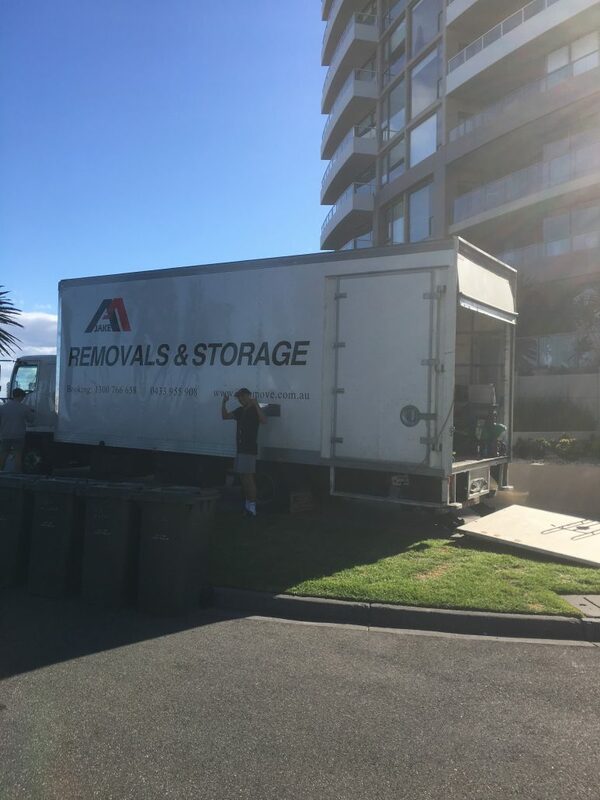 For quality removal and storage services, contact us at 1300 766 658 to get a free quote today. 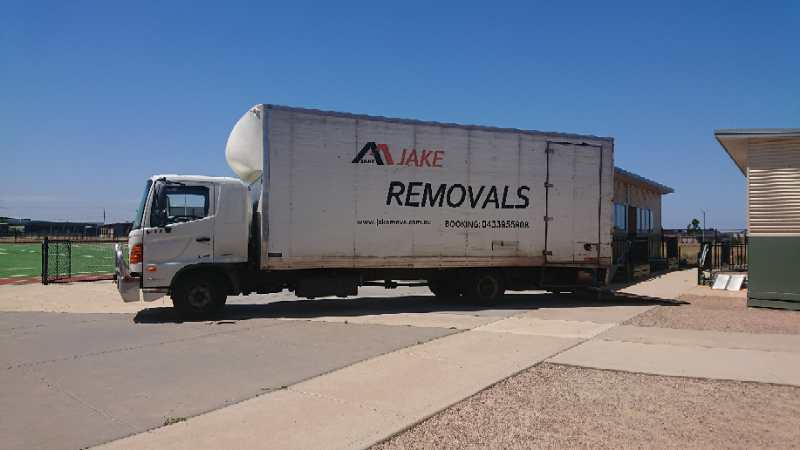 This week, the guys at Jake Move were contacted by long-time client, Tony, who was in need of office relocation services to transport his factory equipment from Sunshine to Essendon. If you’re searching for the most reliable office relocation services Sunshine has to offer, reach out to Jake Move Removals and Storage. On the day of the move, the team arrived at the scene ready to be of service to Tony. The task ahead of them involved disassembling desks and cabinets and placing them in the truck to be moved. All of the furniture including several chairs and a couple of couches were also professionally packed in heavy duty blankets and carried out into the truck. Tony was extremely impressed by the service and conveyed his appreciation to the team for the minimal downtime for his business. 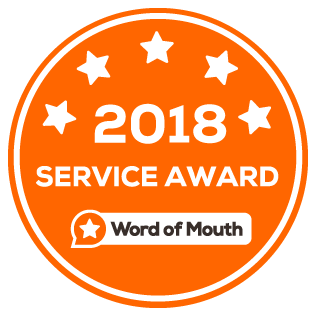 Having used the service previously, he was well-aware of the quality of service Jake Move is capable of delivering, but he had no idea it would be this consistent. The Jake Move team prides itself on its fully trained and qualified staff that know how to move quickly and efficiently. It comes down to three points: packing the furniture safely to avoid damage, storing the items in a secure warehouse, and re-delivering them to the specified relocation address. This is a huge part of the reason Jake Move is one of the most reliable office relocation services Sunshine has to offer. When there’s a lot going on in your business, it’s easy to overwhelm yourself with an abundance of research on the many removalists Melbourne has to offer. Insurance coverage and other professional logistics can become complicated to keep track of, which is why Jake Move is covered for public liability for pick-up and drop-off properties. Click here for more information on liability insurance. 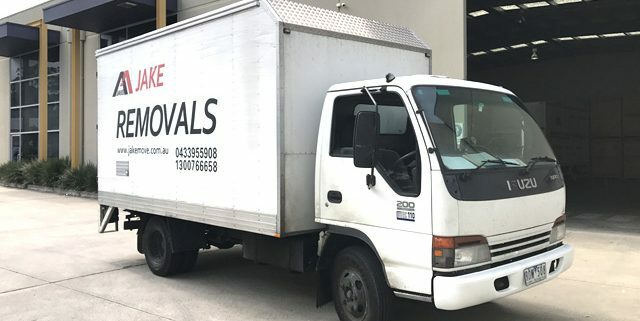 If you’re in the process of finding the most reliable office movers Melbourne can offer, reach out to Jake Move – the leading professionals in removals and storage. Searching for the best office relocation services St Kilda has to offer? 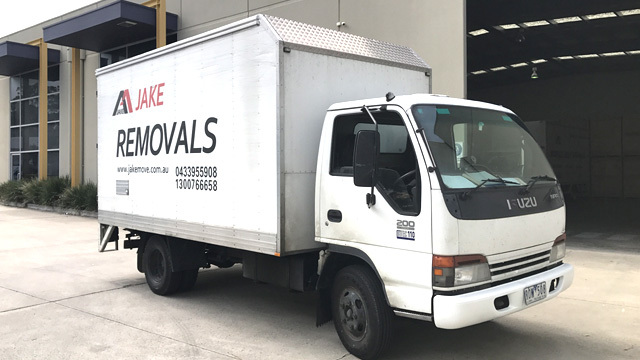 Recently, Jake Move helped one of their clients, Mina, dismantle, pack and relocate furniture from St Kilda to Donvale. Mina was astonished by the quality of assistance he received from the moving team, who took the mess and stress right out of the moving process. 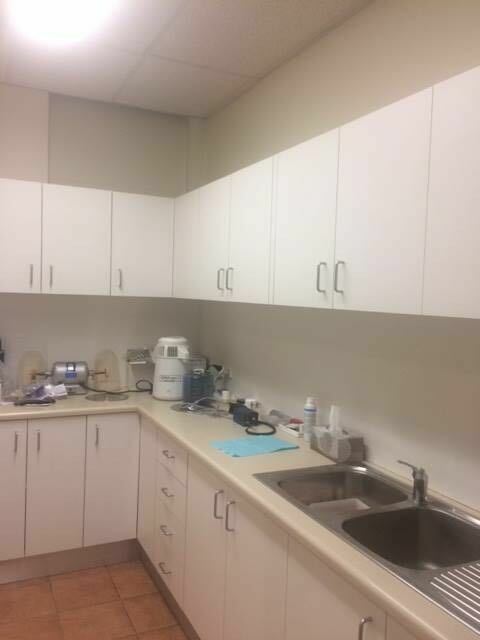 This time around the job was particularly heave-duty: a large reception desk that belonged to a medical clinic was in need of dismantling, as well as a few over-sized wall cabinets. Mina claims he was left feeling rather distraught after several moving companies refused to dismantle the cabinets from the wall, using excuses like “it’s not our job” or “it’ll cost extra”. But much to his surprise, what Mina perceived to be the toughest issue, turned out to be a simple and stress-free task for Jake Move. Without a fuss, the movers carefully dismantled each frame off the wall, then wrapped and relocated all of the individual pieces to the truck. All the furniture was then carefully unpacked, moved and re-assembled in the new store. Mina was particularly impressed by the helpful attitude and level of professionalism that was constantly put forth for the duration of the relocation process. In essence, not only did Jake Move complete the relocation job properly, they made a conscious effort to ensure the client was comfortable and stress-free. 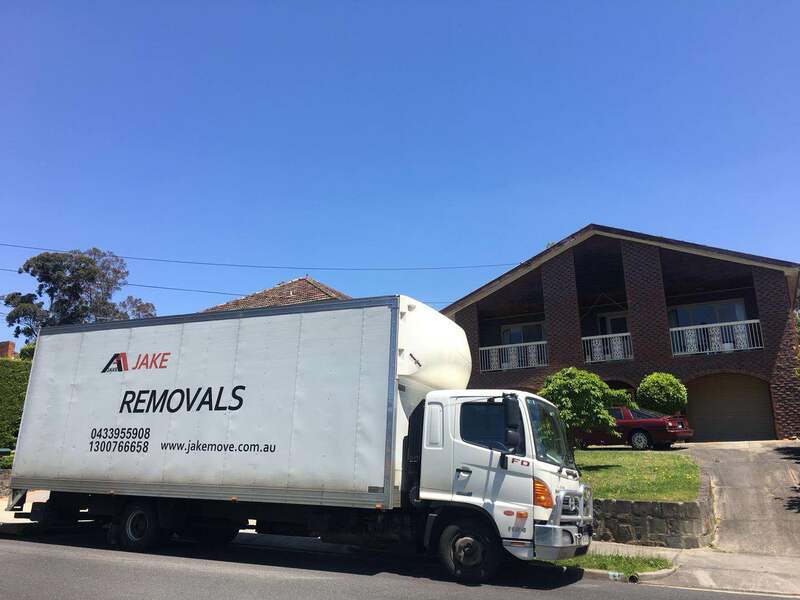 Mina highly recommends Jake Move to anyone who requires office movers in Melbourne, and wishes he would have reached out to the team sooner had he known how accommodating they would be. Moving doesn’t have to be a messy, stressful, or labour intensive activity. On the hunt for the best removalists Melbourne can provide? The Jake Move team is ready to assist with any moving and storage services you may require. Providing professionally trained movers with a can-do attitude, prior and existing clients have raved about the peace of mind that comes while working with these qualified and helpful office movers.